Welcome Wyatt Davenport as he gives us a glimpse into her Lunara series - definitely out there to grab tons of readers in different genres and male and female. 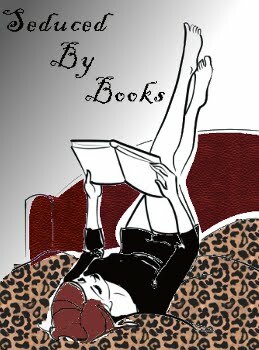 It's on my list and was so excited to have Wyatt join us when he found us on goodreads. 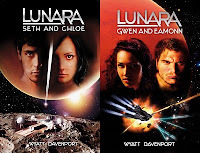 The Lunara series is a Sci-Fi adventure series that takes place in our solar system and tells the story of the crew of the Protector as they fight for their freedom. Now, please don't run away from the word Sci-Fi. I wrote this series to appeal to light and even non-Sci-Fi fans. Mostly, Sci-Fi is about aliens, lasers, and weird technology. Lunara was written to appeal to the human condition and the characters are the drivers of the story. Lunara takes place in the world where the Earth is no longer habitable and Mars is humanities home. Throughout the adventure, the Lunara series delves into the human reaction to losing our home and having to start over on a dead planet. I pick up the story after two hundred years of struggle on Mars and our civilizations frustrations with having to deal with such a tragic loss. Humanity has evolved differently than it would have on Earth as we had to develop new ways to live, new physical affects, and mostly, new psychological motivations that drive our survival. To survive, some of us will turn to each other, while others will become selfish and greedy for the limited resources Mars provides. My series shows how we could react to such a dire circumstance. Initially, Lunara (a lunar colony) residents, Seth and Chloe, are scheduled for a physical examination by the renowned doctor Hans Bauer and this concerns the rest of the Protector's crew as Seth and Chloe have been showing odds signs of evolution. They worry that Mars will overstep their rights and sanction them for being different, or worse, take them away. An attack on Lunara colony provides the catalyst for the story and propels the crew to Mars where developments drive the characters apart. I wanted to portray a crew that was once bonded by camaraderie, dealing with the separation both psychically and morally. 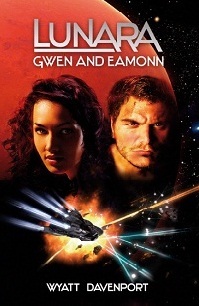 The captain is distracted by his return to Mars by his old love interest, Seth is fighting his obsession with keeping Chloe safe from Martian deceit, and Gwen Arwell, the daughter of the leader of one of the Martian colonies, is pulled by her loyalty to the crew and her family's legacy on Mars. Parker McCloud, the hero of the story, tries to bring the crew together while fighting his own demons and a corrupt Martian government. 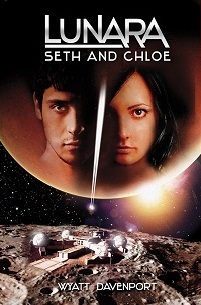 With the book centering entirely on the crew, I provide a backdrop of Mars where the story is driven by how these influential and motivated characters provide different aspects of Martian psychological beliefs, from the pressures of a family's legacy to bias forged by the rugged life of the lower class of society. The Lunara series was created in my mind years ago and took 10 years to complete a series of five books. I have published two books thus far; with a third that will end the first generation in the series (the last two take place in a later Mars). When I started, I instantly developed a beginning, a midpoint where I wanted the characters to be, and an ending. After that, I just filled in the rest with adventure, character development, and a diverse crew who came from many different parts of Mars to showcase how each react to the same situations. The real fun in writing the series was creating a world that was an extension of our world. How would humanity reach to a dead Earth? How would we survive and develop with just enough technology to sustain us on Mars? How would our government and civil structure develop? Who would be our leader? Would we retain countries or start a new chain of command? These questions intrigue me. So far, reviews have been quite good (at least from my perspective and one with loathing artist syndrome). The main theme I see from multiple sites (goodreads, amazon, etc) is, "I don't usually read Sci-Fi, but this story is different...." and I am proud that I accomplished my initial goal. I find a Sci-Fi backdrop to be the best for books. It is a whole different world where you can shape your imagination from the preconceptions of Earth and make it a great place to escape to your imagination and develop characters to show the human condition without any bias from our society. If you are a Sci-Fi fan, join in on the adventure; if you don't read Sci-Fi, this might be a good book to get your feet wet.